The Toronto Real Estate Board reported 5,191 condo and loft sales in the fourth quarter of 2018. This result was down by 9.9% compared to the last three months of 2017. New condo and loft listings were down by more than sales on a year-over-year basis – dropping 11.2% from 8,186 in Q4 2017 to 7,272 in Q4 2018. This points to tighter market conditions at the end of 2018 compared to year-end 2017. The condo and loft segment was the best-performing segment in terms of annual average rates of price growth in 2018. Condos and lofts represent a relatively affordable housing option. With a substantial decrease in listings in 2018, competition between intending buyers remained strong. This supported average price growth well-above the rate of inflation and annual rates of price growth reported for other freehold home types. The average price of condos and lofts increased by 8.3% from $516,086 in Q4 2017 to $558,728 in Q4 2018. 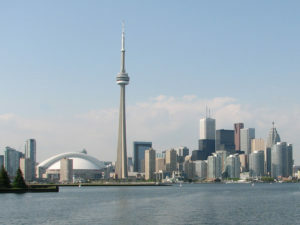 Year-over-year price growth in the City of Toronto, which accounted for 72% of transactions, was slightly higher at 8.9% resulting in an average price of $598,664. The condo and loft segment continued to be a key entry point into the Toronto home ownership market in 2018. Higher mortgage qualification standards meant that many first-time buyers were looking for more affordable housing options. Moving forward, the concern is that a continued lack of listings supply, despite relatively strong new condo and soft loft completions as of late, will hamper the ability of potential home buyers to meet their housing needs.